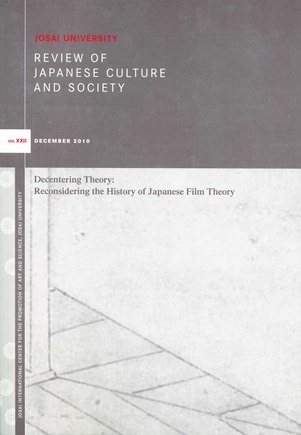 This is the first of a series of works I am producing on Japanese film theory. Sato Tadao, Does Film Theory Exist in Japan? The Review of Japanese Culture and Society is published by Josai University in Japan. Single issues can only be purchased through Josai at a price of $20.00 (US). Click here for details. You can also access it on JSTOR here.